What if you lived in an artwork? What if we walked along a city street the way we walk through a museum? Can we see our surroundings as cultural treasures? 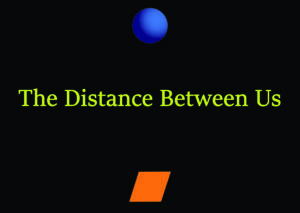 The Distance Between Us, co-presented by City of Eugene Cultural Services and Earthbound Moon, is an artwork exploring these questions and many more. From April 14-20, Willamette Street between 7th and 8th Avenues will be turned into an artwork as fifteen businesses collaborate with fifteen artists to create limited-edition works of art available for sale or to experience. The week also features guided docent tours, discussions, live music and a pub quiz. More information at eugene-or.gov/BRIDGE.